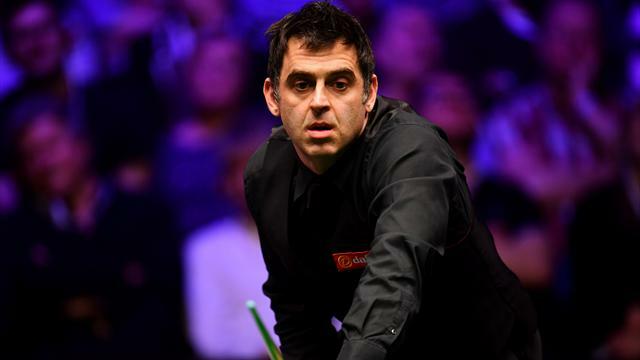 Ronnie O’Sullivan’s sublime form shows no sign of abating as he beat Mike Dunn 4-0 in the Welsh Open last 16. The five-times world champion was at his mesmeric best as runs of 84, 69, 117 and 67 saw the Rocket ease into the quarter-final stage after just 51 minutes of play. The four-time winner of the Welsh Open is yet to drop a frame and faces John Higgins in the next round. Later in the evening Higgins produced a masterclass of his own to beat Nigel Bond 4-0. The four-time world champion produced runs of 115, a tournament-high 144 and 65 on his way to dispatching Bond and setting up a sixth showdown of the season with O’Sullivan. Elsewhere, Thailand’s Noppon Saengkham is through to only a second ranking event quarter-final of his career after he beat Kyren Wilson 4-0.